Welcome to Frifeldt Investment Counsel, a Michigan Registered Investment Advisor. 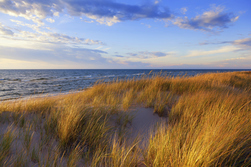 We are proud to be serving a variety of clients throughout Michigan. Co﻿nta﻿ct us for your FREE portfolio consultation. We provide investment counsel and wealth management services to families, businesses and institutions within the local community and throughout the State of Michigan. We specialize in the construction and management of investment portfolios and alternative investment strategies customized to meet the needs and risk concerns of our clients. Our firm's commitment to our clients and their integrity is well respected. We have developed partnering relationships with our clients to establish the foundation of our firm. Frifeldt Investment Counsel is a fee only registered investment advisor utilizing scientific, academic and mathematical principles to drive all of our investment processes. This means that if there isn’t sufficient academic research or statistical testing behind an investment idea, we don’t do it. It is that simple.